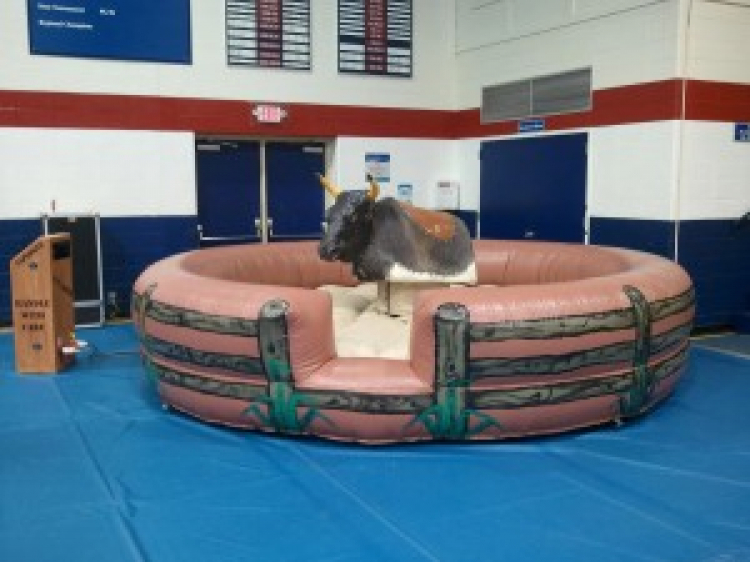 Mechanical Bull - Jumpin Jiminy - Make Your Events Awesome. We offer Mechanical Bull entertainment for Fairs, Rodeos, Private and Corporate Parties and Festivals in Oklahoma, Kansas, Arkansas. The Mechanical Bull is an added attraction to any event, drawing in large crowds of spectators and riders. Our Bucking Machines are of the latest design and are fully controllable and safe and we have two choices of mattress patterns for your event. All ages from 3 years to 70 can enjoy the experience of mechanical bull riding regardless of ability. 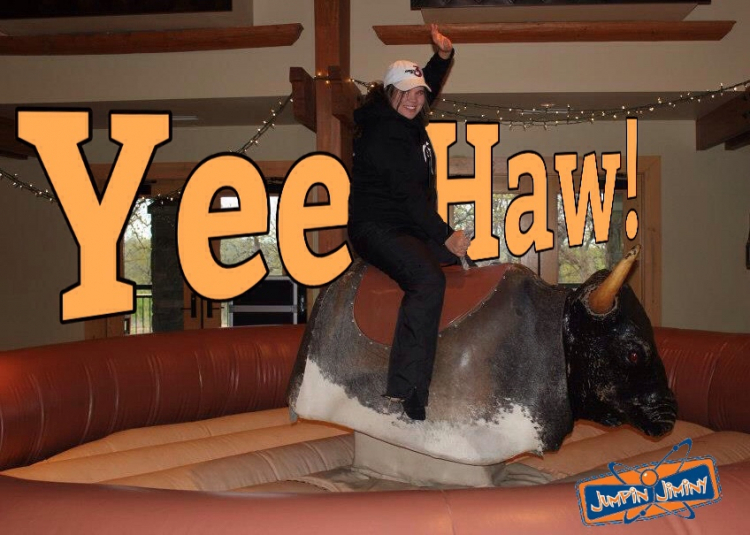 Call Jumpin Jiminy today to get more information about renting a mechanical bull for your next event! Your rental includes our operator who will make sure everyone has a fun time.